Are you looking for a voice changer with all the features you need? 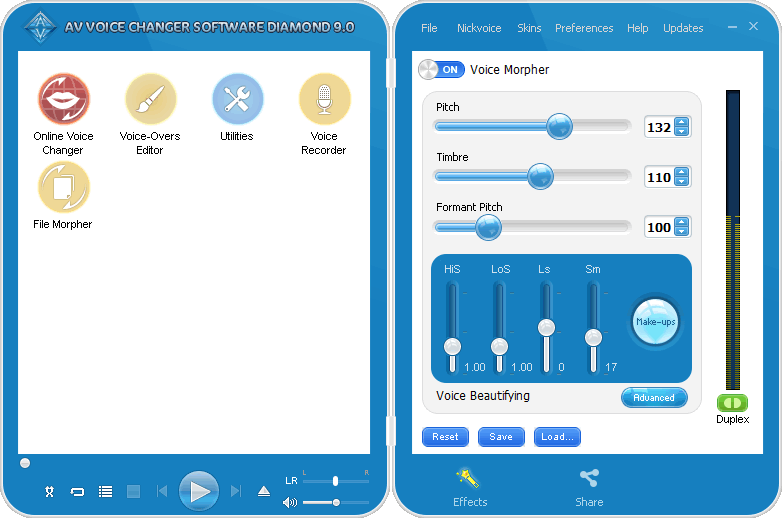 Look no more, AV Voice Changer Software Diamond 9.0 is the one and it will be reviewed thoroughly here. 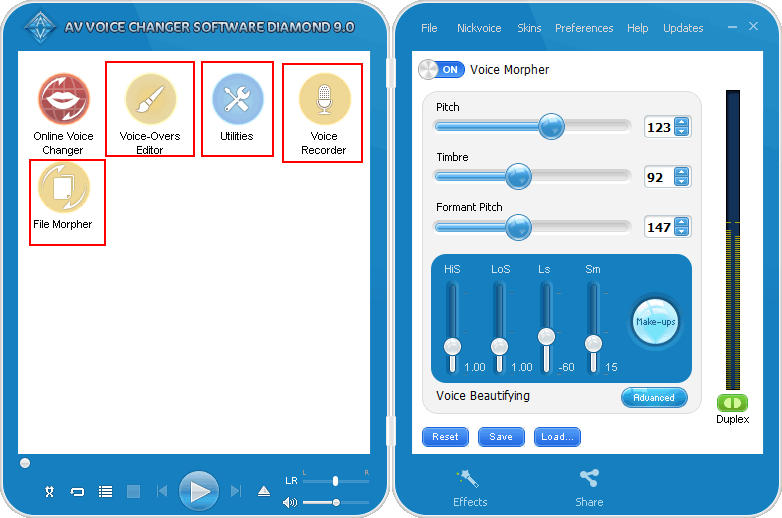 With this software, it is not simply a voice changer, you can change your voice to anyone, talk in real time, record, convert and edit the audio files right within the software and it is even possible to make voice-over as well as many other audio activities. You can change the fundamental attributes of your voice very easily and in high quality with this software. It allows users to manipulate their Pitch, Timbre and characteristics. In short, you can sound like Barack Obama, Morgan Freeman, Brad and Jolie or anyone. The Voice Comparator also helps you to compare your voice with a sample voice and then mimic that voice without any difficulties. Thus, you can mimic any voice of your friends and it is perfect for a prank call. Moreover, there are many background and vocie effects to be applied. The coolest thing is that you can download the presets from Add-on Store. Voice-over and voice recording are now more interesting than ever. Easily make several test voices, preview them all in one window, make adjustments, toggle the active morphs, refine your selections, and save/produce the desired output, in real-time if desired. This is the ability to edit your own live audio and pre-recorded files. Then modify, convert and perform voice morphing on these files in batches, if desired; convert entire directories at once, and apply a selected morph to all files in a folder at once. Hence, any project can be managed from concept to completions all right within the software: changing your voice, record, edit, convert, save, review, and revisit anytime for resources, or refinement or to use in new projects. A total audio creation workstation. You can connect the software with any audio editing software (Camtasia, Goldwave, etc.) and it also works with most all VoIP programs (Skype, Viber, etc.). The software is also compatible and can be used with in-game voice chat systems (Steam platform, World of Warcraft, etc.) in real-time. There are some ads in free-to-try version, but still comfortable using.